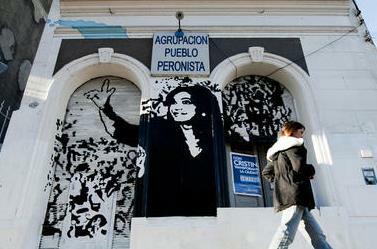 Argentina’s Mid-term Elections: the beginning of the end for Cristina? Rising inflation, loss of confidence by the private sector, and lack of access to international credit markets make victory in Argentina’s mid-term elections on October 27 especially important for President Cristina Fernández – or else she will face the prospect of two years as a lame duck. Her governing Front for Victory (FPV) faction of the Justicialist Party (PJ) seeks to protect its legislative majority. (Half the seats of the lower chamber and a third of those in the upper chamber are at stake.) Based on the results of the Open, Simultaneous and Obligatory Primaries (PASO) held on August 11, the FPV appears likely to lose some seats but still maintain a slight majority, considering that a number of the seats in dispute in the lower chamber correspond to districts in which it fared poorly in the 2009 elections. Before her unexpected surgery last week, Fernández had been central to the electoral campaign, hand-picking and endorsing Lomas de Zamora Mayor Martín Insaurralde as the first deputy on the FPV’s list. According to some surveys, previous adjustments to her communications strategy increased her approval ratings, and with her recovery from surgery expected to take a month, there is speculation that the FPV may win some additional “sympathy” votes. The PASO primaries showed that the FPV lost in key electoral districts, including the city of Buenos Aires, and the provinces of Buenos Aires, Córdoba and Mendoza, but that it continues to be the only political force with national reach. The opposition remains fragmented, but Sergio Massa, a former government ally and current mayor of Tigre (elected on the FPV ticket), has emerged as the key opponent in Buenos Aires province and as a likely presidential candidate for the 2015 elections. He may challenge Daniel Scioli, who is the current governor of Buenos Aires and is, at least until now, backed by Fernández as her potential successor despite resistance from some factions within the FPV). Massa’s Frente Renovador still has limited territorial reach, but he enjoys the support of the mainstream media, a branch of the General Confederation of Labor (CGT), the Church and, perhaps most importantly, a prominent group of mayors in Buenos Aires province. He is trying to capture a more centrist vote, promising the “end of confrontational politics” and focusing on what he claims are the “real issues” affecting Argentines – corruption, citizen security and crime prevention, and inflation. The results of the upcoming elections will define the options for the Fernández administration. If the FPV fails to keep a solid majority in Congress, the issue of constitutional reform that would allow for reelection will be off the table, and Fernández will not be able to run for a third term. In policy terms, negative results will increase pressure for economic adjustment and pro-business policies. Fernández and her predecessor, deceased husband Néstor Kirchner, have both proven their capacity to revamp their administrations after electoral defeat by defying such pressures and raising the stakes. But with defeat in the polls, and with a diminished force in Congress, it will be harder for her to maintain party discipline as the prospects for 2015 grow bleaker. A lot also depends on how the opposition fares: a clear winner among them (most likely Massa) will become a clear challenger for 2015 and probably put even greater limits on any government strategy, whereas a still atomized opposition may give Fernández more leeway. The task ahead for the FPV will be to define and support a presidential candidate that can continue the Kirchnerista project. Performing well in the congressional elections will give Fernández more room to define this, or to at least block non-desired candidates. We may be witnessing the beginning of the end for Cristina, but it is not clear whether any of the opposition candidates can force her to steer the Kirchnerista project in a new direction. Not even the most plausible contender in the opposition (Massa) or the most likely successor in the FPV (Scioli) seems to have any meaningful change to offer. If both of them represent anything, it is Peronism’s ability to adapt in adverse times to stay in power. But that is nothing new in the history of Peronism. * Santiago Anria and Federico Fuchs are graduate students in the Department of Political Science at the University of North Carolina at Chapel Hill.